This entry was posted in Wizz Air (Hungary) and tagged Wizz Air on March 20, 2019 by Bruce Drum. Wizz Air, the largest Central and Eastern European low cost carrier, has taken delivery of its first of 184 A321neo aircraft on order at an event in Hamburg, with József Váradi, CEO Wizz Air and Christian Scherer, Airbus Chief Commercial Officer. The new generation aircraft is powered by two Pratt & Whitney GTF engines and features the widest single aisle cabin with 239 seats in a single class configuration and offers operators maximum flexibility, fuel efficiency and low operating costs. Wizz Air is an all Airbus operator, with more than 100 A320 Family aircraft operating all around Europe with 261 more to be delivered. With 184 of the larger A321neo aircraft on order, Wizz Air is the largest Airbus customer worldwide of the type. This entry was posted in Wizz Air (Hungary) and tagged Airbus A321neo, Wizz Air on March 7, 2019 by Bruce Drum. Wizz Air has announced two new routes from Kiev (Kyiv) to Athens and Thessaloniki in Greece. The low-fare connection Kyiv-Athens is commencing on May 21 with 2 weekly frequencies, on Tuesdays and Saturdays, while flights on a route Kyiv-Thessaloniki are commencing on May 20 and will be operated 2 times per week, on Mondays and Fridays. With these two new routes connecting Ukraine with Greece, Wizz Air is now offering a total of 45 routes to 13 countries from 3 Ukrainian airports in 2019. In other news, the airline will also start flying from Gdansk to Bodo from May with 2 weekly flights. Top Copyright Photo: Wizz Air (Hungary) Airbus A320-232 WL HA-LYG (msn 5539) (Budapest-Candidate City Olympic Games 2024) MST (Karl Cornil). Image: 945726. 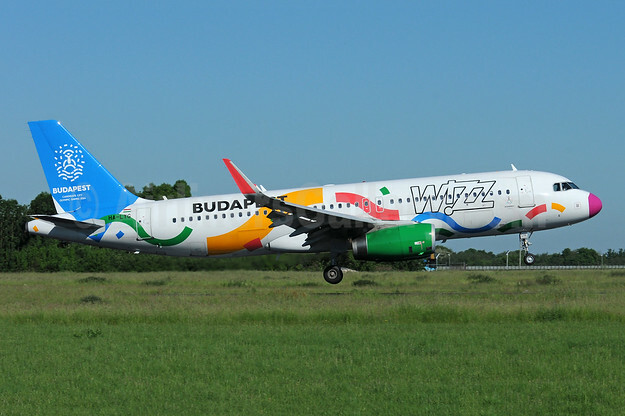 This entry was posted in Wizz Air (Hungary) and tagged Airbus A320-232 WL, Budapest-Candidate City Olympic Games 2024, HA-LYG, msn 5539, Wizz Air, Wizz Air (Hungary) on February 21, 2019 by Bruce Drum. Wizz Air has announced the allocation of a third Airbus A320 aircraft to its Kutaisi base as well as the start of six long awaited new services from Kutaisi, Georgia to Eindhoven, Bari, Copenhagen, Basel-Mulhouse-Freiburg, Tallinn and Charleroi. Wizz started operations from Kutaisi International Airport in 2012 and after 7 years of successful operations, and only 8 month after allocating its second aircraft to the Kutaisi base, the airline announced further great expansion at its Georgian base by allocating a third Airbus A320 aircraft in August 2019. Top Copyright Photo: Wizz Air (wizzair.com) (Hungary) Airbus A320-232 HA-LWB (msn 4246) BSL (Paul Bannwarth). Image: 945385. 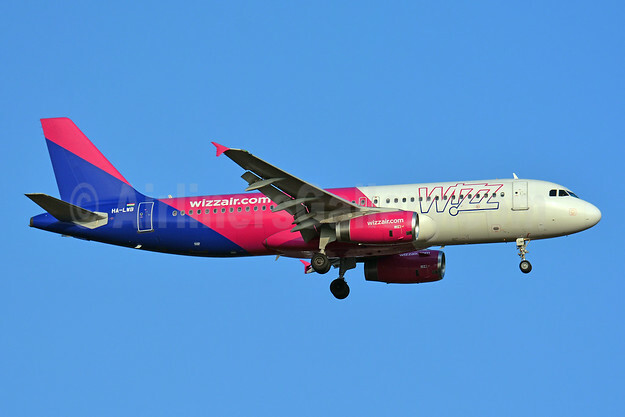 This entry was posted in Wizz Air (Hungary) and tagged Airbus A320-232, HA-LWB, msn 4246, Wizz Air, Wizz Air (wizzair.com) (Hungary) on February 2, 2019 by Bruce Drum. Wizz Air has announced a new route connecting Tirana, Albania with Memmingen, Germany. Commencing on September 1, 2019, the newest Wizz service will be operated with two weekly frequencies, on Wednesdays and Sundays. Wizz Air’s first Tirana flight took off in 2017 and since then, the airline has carried more than 135,000 passengers on its low fare routes to and from Albania. Top Copyright Photo: Wizz Air (wizzair.com) (Hungary) Airbus A320-232 HA-LWF (msn 3562) BSL (Paul Bannwarth). Image: 943580. This entry was posted in Wizz Air (Hungary) and tagged Airbus A320-232, HA-LWF, msn 3562, Wizz Air, Wizz Air (wizzair.com) (Hungary) on January 16, 2019 by Bruce Drum. Wizz Air has announced today the allocation of its fifth Airbus A320 aircraft to its Skopje base in July 2019, as well as the start of eight long awaited new services from Skopje to Karlsruhe/Baden-Baden, Bremen, Larnaca and Turku and from Ohrid to Malmö, Milan Malpensa, Munich Memmingen and Dortmund. The fleet expansion will also enable to increase the number of weekly flights on Wizz Air’s existing routes from Skopje to Gothenburg, Hamburg, Cologne, Malta and Basel/Mulhouse/Freiburg. Wizz Air started operations from Skopje International Airport in 2011, growing its fleet to four aircraft over 8 years.In June 2018, two of the airline’s Airbus A320 aircraft have been upgraded to two Airbus A321. Top Copyright Photo: Wizz Air (wizzair.com) (Hungary) Airbus A320-232 WL HA-LYR (msn 6631) BSL (Paul Bannwarth). Image: 945266. This entry was posted in Wizz Air (Hungary) and tagged Airbus A320-232 WL, HA-LYR, msn 6631, Wizz Air, Wizz Air (wizzair.com) (Hungary) on January 14, 2019 by Bruce Drum. 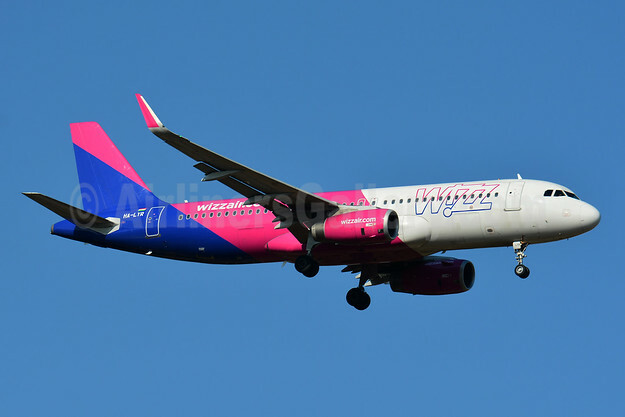 Wizz Air, the largest low-cost airline in Central and Eastern Europe and the leading airline of Bulgaria, has announced further capacity expansion to its Varna network, allocating an additional Airbus A320 aircraft, adding 6 new routes and updating the frequencies of some of the airline’s existing routes. The new Airbus A320 will be joining Wizz Air’s Varna fleet in July 2019. With the arrival of the new aircraft in Varna Wizz Air’s Bulgarian fleet will grow to a total of 9 aircraft, with 2 based in Varna and 7 in Sofia. The fleet growth will increase Wizz Air’s capacity in Bulgaria further by 14% year on year, manifesting in both new routes and frequency updates. Wizz now offers more than 500,000 seats on its 14 routes from Varna, while in total more than 3 million seats on 49 services to and from Bulgaria in 2019, as it aims to create more opportunities for Bulgarian travellers and their visitors to enjoy low fares and outstanding travel experience. Wizz now offers 49 routes from three Bulgarian airports to 18 countries. All images by Wizz Air. This entry was posted in Wizz Air (Bulgaria), Wizz Air (Hungary) and tagged Wizz Air, Wizz Air (Ukraine) on December 14, 2018 by Bruce Drum.